The bestselling true story of a Texas congressman's secret role in the Afghan defeat of Russian invaders is "a tour de force of reporting and writing" (Dan Rather). Charlie Wilson's penchant for cocktails and beauty-contest winners was well known, but in the early 1980s, the dilettante congressman quietly conducted one of the most successful covert operations in US history. Using his seat on the House Appropriations Committee, Wilson channeled hundreds of millions of dollars to support a ragged band of Afghan "freedom fighters" in their resistance against Soviet invaders. Weapons were secretly procured and distributed with the help of an outcast CIA operative named Gust Avrakotos, who stretched the agency's rules to the breaking point. Moving from the back rooms of Washington to secret chambers at Langley, and from arms-dealers' conventions to the Khyber Pass, Wilson and Avrakotos helped the mujahideen win an unlikely victory against the Russians. Adapted into a film starring Tom Hanks, Julia Roberts, and Philip Seymour Hoffman, Charlie Wilson's War chronicles an overlooked chapter in the collapse of the Soviet Union—and the emergence of a brand-new foe in the form of radical Islam. Options for A Time to Break Silence by Dr. Martin Luther King, Jr. Borrow Sample Click here to view eBook details for A Time to Break Silence by Dr. Martin Luther King, Jr.
George Crile III was an American journalist most closely associated with his three decades of work at CBS News. Crile worked more than twenty-five years as a producer and correspondent for CBS News and would occasionally appear in pieces he reported and produced. At first, he worked for the documentary unit "CBS Reports" but in 1985, began producing for 60 Minutes. 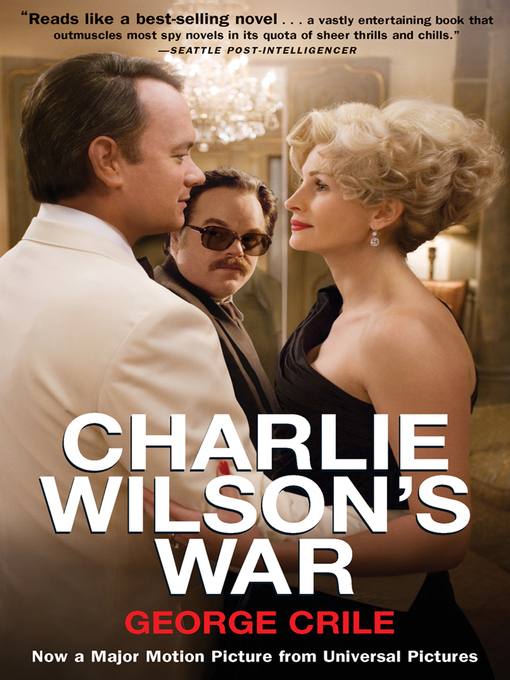 Charlie Wilson's War, Crile's 2003 book that spent months on the New York Times' best seller list, began with a 60 Minutes profile in 1988 of a Texas congressman named Charlie Wilson. Crile died in November 2005. He was sixty-one. producer, will keep even the most vigorous critics of this Contra-like affair reading to the end. 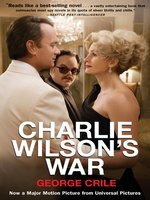 David Johnston, The New York Times Book Review A vivid narrative. . . . Charlie Wilson's War is a behind-the-scenes chronicle of a program that is still largely classified. . . . In its time there was little dispute that the covert war was one of the most successful C.I.A. operations ever undertaken. . . . Few people who remember Wilson's years in Washington would discount even the wildest tales." Steve Kettman, The San Francisco Chronicle Irresistible. . . . [A] thoroughly reported, painstakingly detailed and calmly written account. . . . The story of this odd and world-shaping partnership really can't be believed until Crile and his thorough reporting gradually make it clear that yes, it all really happened. Crile also sketches a variety of other figures in this drama with an eye for what makes them strange and interesting." Steve Weinberg, The Seattle Times Charlie Wilson's War is one of the most important books ever written about U.S. government covert operations. . . . [It's] such a sprawling tale that describing it adequately in a brief review is daunting." Jan Jordan, The Houston Chronicle Vibrant storytelling. . . . Crile reveals in extraordinary detail the over-the-top, under-the-table machinations of Wilson, one of Capitol hill's ablest political bulldozers, as he spearheaded what eventually became known as the Soviets' Vietnam. . . . [Charlie Wilson's War] offer[s] an entirely new take on Reagan-era history with international sweep and modern implications, neatly laid over the intriguing, untold inner workings of [the CIA]." Chalmers Johnson, The Los Angeles Times Book Review [A] glowing account. . . . Crile is . . . an exhuberant Tom Clancy-type enthusiast for the Afghan caper. . . . Criles account is important, if appalling, precisely because it details how a ruthless ignoramus congressman and a high-ranking CIA thug managed to hijack American foreign policy." John Marshall, The Seattle Post-Intelligencer Charlie Wilson's War reads like a best-selling novel. . . . Crile's globe-trotting research and adroit writing have produced a vastly entertaining book that outmuscles most spy novels in its quota of sheer thrills and chills." Edward P. Smith, The Denver Post Crile's real accomplishment is in telling the human story of Rep. Charlie Wilson of Texas and a now-retired covert CIA operative named Gust Avrakotos. . . . [Crile] has unearthed some startling details about this chapter of our covert history, found and written about two colorful if flawed characters, and lent a great deal to a better understanding of our recent past and our troubled present." Gerard DeGroot, Christian Science Monitor A cross between Tom Clancy and Carl Hiassen, with the distinguishing feature that it's all apparently true. . . . Throw in a middle-aged Texan belly dancer, an assortment of Congressional looinies, a few beauty queens, some ruthless Afghan rebels, and a murderous Pakistani dictator who only wants to be understood." Karen Sandstrom, The Cleveland Plain Dealer Charlie Wilson's War conveys the sense of victory CIA leaders felt over the 'success' in Afghanistan. . . . Wilson himself is a writer's dream of a main character. . . . A rollicking good tale." Clay Smith, The Austin Chronicle In the midst of Crile's important expose of U.S. covert policy in Afghanistan and it's ramifications, there's an engrossing character study as well." Charles Taylor, Salon.com A classic story of good intentions gone wrong, a comedy of can-do Americans loose in a world it really doesn't understand." Raymond Puffer, KLIATT His narrative is fast-moving, supercharged, and overheated, chock-full of high drama and sexual innuendo. In short, it is great fun." Celia McGee, New York Daily News The subtitle here--The Extraordinary Story of How the Wildest Man in Congress and a Rogue CIA Agent Changed the History of Our Times--says it all. Almost. . . . Much of the tale of getting there is only now revealed by Crile, a veteran TV producer and hell of a story man." James Critchlow, The New Leader A helluva story. . . . [Crile] eschews highfalutin generalizations in favor of racy vignettes. This yields a riveting glimpse of the inner workings of a secret area of government."